* Fourteen domestic companies based in non-RTW states announced investments in RTW states. Just two went the other way. * RTW prevailed in foreign direct investment, too. 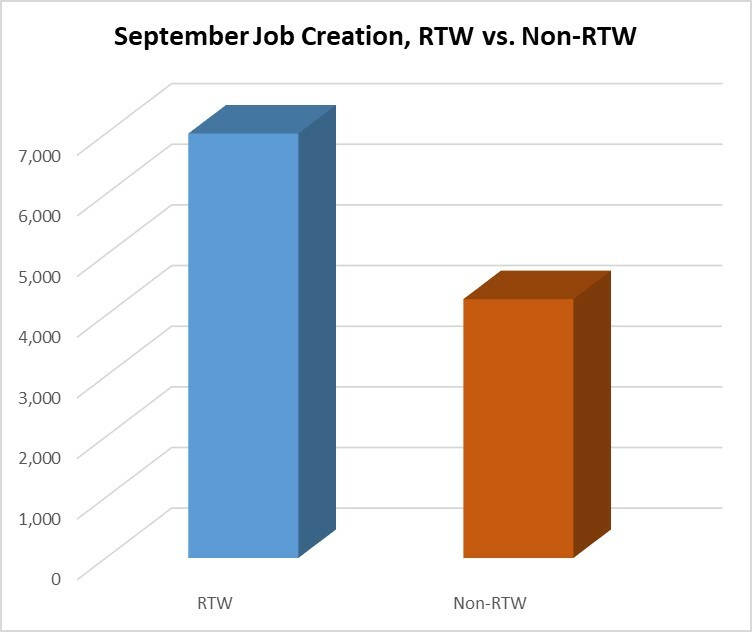 Twelve projects are headed to RTW states, with three to occur in non-RTW states. * Non-border-crossing relocations were not counted, border-crossing relocations were.